Preventing Cancer Through Your Diet and Lifestyle? October 18, 2012 October 18, 2012 Wallace Bishop I.N.H.C, C.N.C. If you do not believe that your food and lifestyle choices promote cancer and other adverse health conditions and diseases, you could not be more wrong. If you are eating the typical American ( now called western ) diet which includes fried foods or foods cooked at high temperatures (meats or foods that have charring on them), pastries (doughnuts, cakes, etc…), candies, animal foods ( meats and dairy) once a day or more, red meat more than once a week, refined foods such as sugar laden cereals, enriched flour products (breads, cookies etc…), prepared foods (marinated meats, white rice, macaroni and cheese, rice-a-roni, vegetables in sauces or fruits in syrups, etc…) you are slowly setting yourself up for adverse health conditions even cancers. These types of foods contain ingredients that actually rob your body of healthy nutrients and set up a path way in which cellular DNA can be damaged leading to disease and even cancer. If you have immediate family members that have developed cancer there is reason for you to be concerned particularly if more than one person has had cancer. This may show that you could have a genetic potential to develop cancer in your life time. Sure, this can be a terrifying thought but it is not the end of the world and it doesn’t mean that you are going to develop cancer. Eating the western diet is not the way to maximize your potential to avoid the menace of cancer. 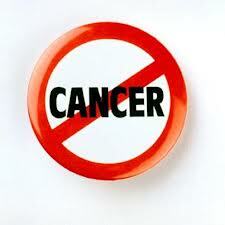 You need to be proactive and remove potential cancer causing foods and agents from your life where possible. Your diet and lifestyle are by far the most powerful influence to prevent cancers. I challenge you today to make your diet and lifestyle one of health promotion. Even if genetics play a role, your lifestyle can trump those genetics many times. Living a life of health promotion does not guarantee an illness free life. It does push the odds greater in your favor of having less illness promotes a quicker recover in the event you do become ill. In addition, living a life of health promotion provides numerous improvements to your quality of life, living longer, younger and happier. You should make sure you are including cancer fighting foods in your diet daily to maximize cancer prevention. Every vegetative food has health promoting properties, some more than others. If you try to include as many colors as possible from the vegetable world every day you will promote optimal health. Buy organic when possible. If eating meats, buy wild caught fish (cold water fish is preferred; salmon, trout, steelhead, sardines, cod, and halibut) and organic free range chicken and turkey. If you are diagnosed with cancer, after the first shock, you need to assess your options. There are some very important questions you need to ask your doctors. Certainly you need to change your diet and lifestyle to one of health promotion. What traditional treatments are recommended? What is your prognosis with treatment and without? What effect on your quality of life do the recommended treatments have? What other illnesses or diseases can the recommended treatments cause in the future, short-term and long-term? If I decide to do alternative treatments will you continue to monitor me during the treatments? Are there any alternative treatments that you may recommend? Don’t be surprised when the doctor say’s no alternative treatments have been shown to be effective. Traditional doctors are powerfully discouraged from recommending alternative or natural treatments. However a few doctors will go against the traditional establishment and recommend alternative treatments. A new branch of medicine is growing in which traditional medicine and alternative medicine is both used. This new branch is labeled “Integrative Medicine”; I would urge you to consider them as well. There are many effective non-toxic alternative cancer protocols available. Tens of thousands of people have had great success with them. This becomes a very personal decision for you and your family to make. The most important part of your life with cancer is education and researching for yourself your options. Don’t be pushed and don’t let people scare you so bad you make rash decisions. Pray for wisdom and guidance, research different options, ask questions, talk to others that have had or are doing the treatments or alternative protocols and then make a decision. If you decide to use alternative cancer protocols understand your current doctors may drop you, some are very understanding and will continue to support your efforts. Look for a doctor that will support you regardless of your decision. There can be a lot of confusion in the alternative market. I only recommend two sources because I know the sources and know the info to be true and accurate. I know many people who have had great success with alternative cancer protocols. Conclusion If you don’t have cancer, celebrate your life and begin to live a life of health and happiness. If you or a loved one has cancer don’t retreat; pray, educate yourself, counsel with those that have gone before you and go on the attack. It may seem difficult at the time, however your belief that your body will heal and you will recover is as important as any treatment you decide to do. I urge you to believe and embrace your healing process. Pick a treatment plan and stick with it. Optimize your opportunity for recovery by living a life of health promotion. When you are ill, your body needs an abundance of high quality nutrition, eat and supplement wisely, rest and live in peace and harmony. Healthy living must be an all natural thing. And one’s dietary habits form an essential part, if not the foundation, of the health-promoting lifestyle. And, really, the healthiest food you will get is natural and organic food. Eating organic food makes sense to me. After all, we wouldn’t wish to compromise on the quality of food we share with our pets, or even the quality of engine oil we use within our cars, or even the quality of furniture polish we experience our new family room set; so why would you want to give substandard food to the bodies, which are unarguably probably the most critical and irreplaceable physical resource we’re given in this life.